Environmental Site Assessment (ESA) - GES - Geotechnical & Environmental Services, Inc.
Environmental Site Assessment (ESA) Allows You to Make Informed Decisions. GES is proud to provide comprehensive and detailed Environmental Site Assessment services (ESA) in Virginia. Our team of professionals can provide all three phases of ESA, from research and inspection, to sampling and remediation plans to eliminate any confirmed contamination. Our ESAs are compliant with all state and federal requirements. During Phase I, The GES team researches the history and use of your particular piece of property through site visits and document reviews. Whether this occurs prior to the purchase of the property or afterwards, our thorough and concise abstract gives you the pertinent information to make informed decisions. If we determine there is reasonable indication of contamination, we initiate Phase II of ESA. Should the results of Phase I indicate the need to conduct further research, we initiate Phase II by collecting soil or water samples for testing from the location. This subsurface research requires an understanding of the geologic and biologic makeup of your property and any potential contaminants. GES has the equipment and expertise for all types of environmental drilling for sampling and testing, monitoring and recovery. 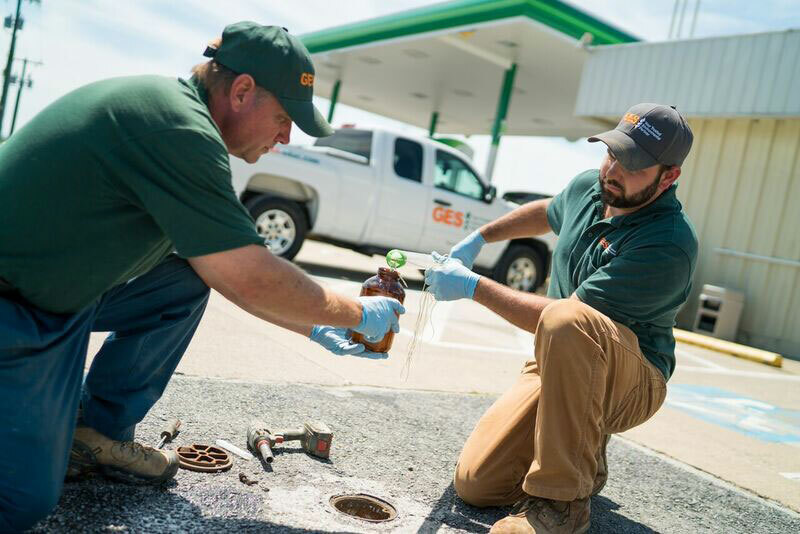 Whether a basic Phase I ESA or an actual contamination that needs remediation, GES can take care of your job from start to finish. Even if other contractors have to be involved, we manage your project and GES is your single point of contact. GES works for your business, municipality, or organization, ensuring communication and recommendations that keep you and your property compliant with state and federal regulations. Since 1988, we have been committed to providing quality service and detailed analysis to our clients in Virginia. Choose GES, your trusted environmental partner.